Since athletic gear is so specialized, it’s often difficult to store. Shoulder pads, helmets, balls, and other equipment take up a lot of space. They can also be easily damaged during storage or retrieval. On top of that, they’re also expensive, and budgets allow for only so many replacements. 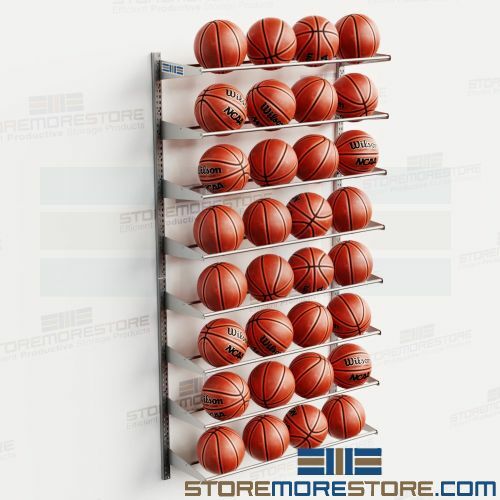 Vertical basketball racks and wall mounted ball storage shelves are a great way to keep volleyballs, basketballs, and soccer balls stored neatly and out of the way. This prevents them from rolling across the floor and causing safety hazards while also using your wall space to free up your floor area for other uses. The vertical basketball racks also feature adjustable shelf rails and brackets on 1″ centers so you can store multiple types and sizes of equipment in one unit. You can easily customize the individual racks for any sport in schools, universities, or professional sports teams. Additionally, think of how much space you could save if you could use your walls for gear storage instead of your floor space. This way, you can also make your storage area safer by storing balls up and out of the way. 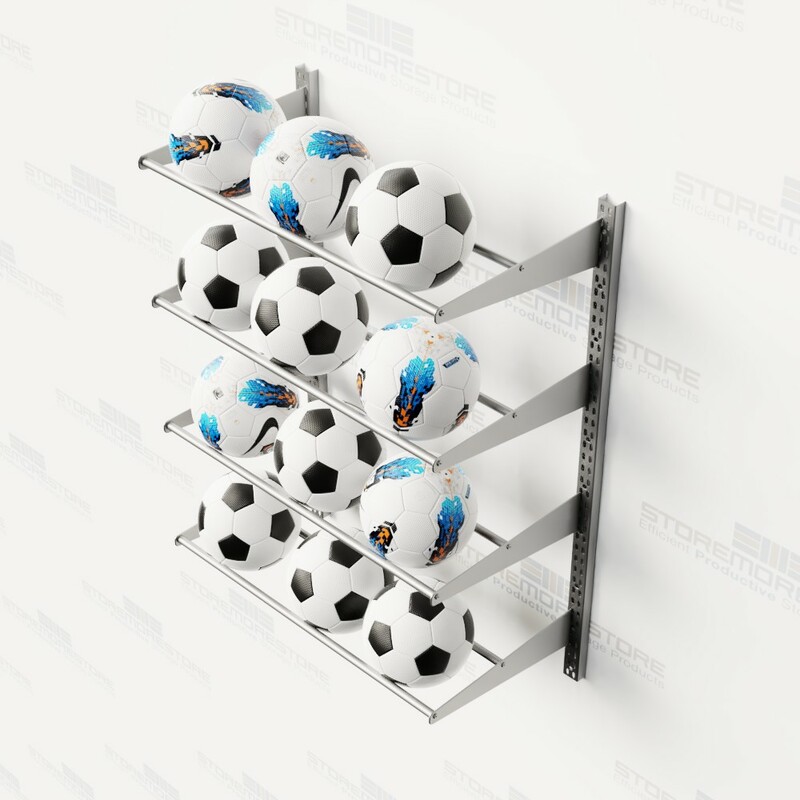 Vertical basketball racks and wall mounted ball storage racks are available to buy online and ship within 15-20 business days with free dock-to-dock shipping included. If you need any assistance or just want some help picking the right solution for you, please call us at 1-855-786-7667.